Disclaimer: These days you can learn to do just about anything online from fixing a car to chlorinating a pool. Sometimes you will be successful, sometimes you can make things worse. The same goes for highlighting hair at home. Only a licensed professional has the skills to evaluate your hair’s strength, porosity, and overall health in order to give you exactly what you want with the least amount damage. Having said that, I have had great success with formula below on both myself, and on over 10 of my friends. But that doesn’t mean it’s going to work on everyone. If you choose to do this, you do so at your own risk. Please read reviews and take some time to evaluate if you want to do this before you jump in. I also recommend doing a strand test before to see how your hair handles it and if you like the results. Recently, I posted this picture on Instagram showing my hair before and after I weaved it at home. I had a few friends ask me to share what I did and so I am writing this post. My hair is naturally a dark blonde, if your hair is a similar color to mine then this should work for you. If your hair is dark brown, black, or red, your results will vary. Please keep in mind that I am not a professional and there are no guarantees. I am just sharing what has worked for me. I do not recommend this on hair that has been previously colored a darker color, hair that has been dyed with henna, permed hair, or on naturally dark brown/black hair. Click “Next” for the product list. You have such pretty hair!!! I have naturally dark brown hair and want to go lighter, like your “in between” color…what do you suggest I do? I’m so glad you posted this! I’ve been needing highlights but not wanting to pay an arm and a leg for them. You probably don’t need to, but just in case, do you tint your eyebrows? Great tutorial! Love your hair and the family picture! New follower of your pretty lil’ blog! Follow me back? This is nuts!!!! I’m a hairdresser, and trust me, soon your hair will start to break off. Please, people, go to a professional. And….never use 20 volume developer with a toner!!! Thanks for your comment. I definitely don’t want to suggest that people do something nuts with their hair so I did a little research to double check and found that Wella, the toner company, does recommend that a volume 20 be used with the t18 toner. It’s on page 18 of the wella color charm PDF. Thanks for voicing your concern. If people are just applying it on the regrowth and not leaving it on too long they should be fine. But it’s definitely not super easy to weave by yourself so going to a professional is always nice and relaxing! What the stylist you replied to was implying was that a true “toner” should not be used with a 20vol developer, because the nature of a toner is to deposit pigment only, to correct tone–ie., violet for unwanted yellow and blue for unwanted orange–and typically should NOT be used with a developer stronger than 3.5v, 5v or 10v, at max. Unfortunately, a non-professional won’t know that a 20vol developer will also create lift (lightening), not just deposit, thus if the hair is not completely lifted with the previous bleaching, it can also lift up to 2 additional levels, which not only reveals MORE warmth, in some instances, but doesn’t deposit enough pigment to correct unwanted tones, in certain situations–typically brunettes. MOST IMPORTANTLY, however, is that when using an oxidative color, with a 20vol developer, the cuticles of even the healthiest hair shaft will only return to 70% of its original, flat, state (think of the layered shingles on a roof, when looking at a hair strand under magnification). What does that translate to? A cuticle that becomes 30% more expanded than its original starting point (multiplied by every time it’s used), which translates to stressed hair, which will have more and more trouble holding moisture, color, and after repeated applications, eventually cotton-candy-feeling hair. Pair that with PRE-BLEACHED hair and your cuticle doesn’t stand a chance…it’ll be blown-out and look like a pipe cleaner, under a microscope. So, yes…while going to a professional might be a little more costly, we’re actually educated in not only the art of color placement and the use of complementary tones for our clients, there’s a whole wealth of chemistry that not only keeps your hair looking its best, but ultimately, from breaking off and raining down all over your bathroom counter. 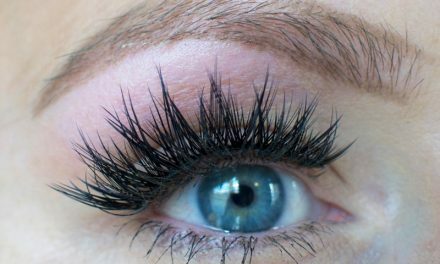 You could be blessed with strong, durable hair that will take this kind of abuse, but I HIGHLY recommend to anyone with fine, thin hair, who’s reading this information, be STRONGLY cautioned at attempting this process, with the method described here. If it doesn’t cause problems initially, the compounded effects WILL eventually cause damage–not maybe. So ladies, your stylist, who most likely has invested a good part of his or her life in making sure your hair stays ON your head, and not your bathroom floor, just might offer a little more than a “nice and relaxing” service. Thanks for your comment, Chris. I really appreciate how you explained what happens when using different volumes with the toner I recommended. I hope my post didn’t sound patronizing to hairstylists. I know you have done a lot of work to master your craft. And you’re right, the best way to keep your hair healthy and strong while still getting highlights is to go so someone who has painstakingly learned the chemistry and knows the science of hair. But I still stand by this formula. I have only had really good experiences with it. It’s a lot better than what you will find in other places online like “use 40 volume and heat for an hour and a half, then repeat.” When I was in high school, my dad lost his job and we were really tight. We eventually lost our house. I had a ton of regrowth from some highlights I got before we were financially strapped. We couldn’t afford to go to a salon, which in Texas usually ran about $130 or more, so my mom did my hair at home with a 40 volume and it got pretty fried. I wish I would have known about this formula back then. That’s why I share it. Not to steal cliental or trick people into frying their hair, but to help people out who need it. Most people who can afford to go to a salon aren’t going to take on the risk and the tedious work to try to do their own hair at home. I love your article! I’ve been debating about going back to my natural or keeping up with my highlights at home since I can no longer afford salon trips. This has inspired me to continue with my blonde journey! You use the entire clairol 7th stage bottle, 2 packets of clairol lightening activators, and 2 oz of 20 developer. How many oz’s of developer do you use? Sweetie, you shouldn’t recommend 30 Vol. developer for this process. It’s counteractive to the process. -Please DO NOT USE 30 VOL DEVELOPER!!! 20 vol is recommend so that the drabbers actually get a chance to do their job properly and if bleaching whole head, use 3 Activator packets instead of 2. I sincerely appreciate this feedback. When I was doing my research, a lot of reviews suggested using a 30, so I went with that. Since reading your comment, I have tried your recommendation and you were right! Thank you. After several tries with this new formula, I decided to update the post. Thanks again! The toner I use is the one mentioned, Wella Color Charm T18. It’s wonderful and available at Sally’s. do you tone your hair at all between touch ups? how often? My hair grows really fast so I usually touch up my hair every 2-4 months depending on how lazy I am. I don’t tone in between touch ups mainly because I think it would be bad for the hair. Instead, I use a purple shampoo like the one listed in the updated post. I should note that I only apply toner on the regrowth after I touch up my roots. Not on the entire strand of hair. Please see new updated formula in post. Are all of the pictures with the 30 vol and 2 packets or the 20 vol and 3? Just curious because I’m going to do mine tomorrow. My natural hair is between a light brown and dark blonde, so I want to make sure it pulls the blonde like yours. It’s awesome! Yes, the pictures are of the old formula, but the new one lifts more effectively and faster with less damage. I’ve done it about 7 times and I promise its better with the 20. Good luck! If foiling seems to hard, you can also do this using a highlighting cap. I can’t wait to do my hair tomorrow!!! How do you get the toner on just the hair you just highlighted and not the rest of your hair? 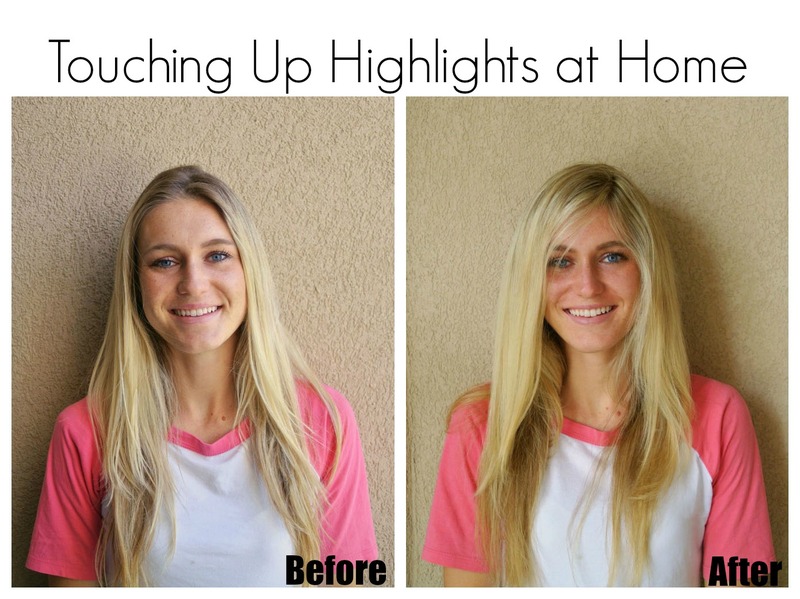 How do you get the toner on just your most recent highlights and not the rest of your hair? If its my first time highlighting virgin hair, then I apply the toner all over to get all the highlights. But all the other times, when I just highlight to touch up an inch of regrowth, I just apply the toner to the top inch of my hair. That way the highlights are only getting toned once. It can very slightly lighten the rest of your hair, but I’ve never seen a huge change from it, especially if you use a 10 volume–which is for deposit only. I used your highlighting & low lighting instructions once before and LOVED the result. I’d like to do it again, but I can’t seem to find your post on how to do highlights and low lights. Could you direct me to the link? I removed that post because it was fairly complicated and I didn’t want anyone to accidentally mess up their hair. I’m so glad it worked for you! If you send me your email, I can probably send you a copy of that post. Thanks! Do you use the toner on all your hair or just the highlighted hair? Thank you so much for posting this!! We recently became a one income family which is a huge financial strain! Going to the salon has been out of the question so having this option has been amazing! I can feel good about myself and not break the bank! It was much harder than I expected but totally worth it! I can’t wait to visit my salon, but in the meantime I can feel pretty! Thank you!! The biggest problem I had though is that I’m terrible with the foils. Any tips/suggestions or is it just a matter of practice? The foil just gets all crumpled up, I lose hold of it, and then I end up just isolating a bunch of hairs randomly on my head and wrapping them with foil instead of doing things in a more comprehensive way. Anyway, thanks again and your hair looks fab! The pic at top left looks like you now have ombre? Did you do that yourself too? I’m so glad the color turned out great for you! Foiling definitely takes practice. I think the biggest thing is making sure you fold the end of the foil tightly around the tail of the rat tail comb and use lots of pressure to hold that in place once it’s on your head. If I get brave enough, I’ll try to do a little video demo of how I do it so it can be really clear. Pulling your hair through a cap is a great way to do it for beginners, but it makes it hard to touch up the same highlighted sections later. I also go from front to back on myself, not side to side, if that helps any. I also weave my own hair at home and have found that a highlighting board is a very helpful tool! You fold the foil over the edge if the board rather than the rat tail comb then you have a hard surface to paint the bleach on your hair sure makes the job easier and faster. That is great advice! Thank you so much for sharing, Hannah! Thank you for this formula. My natural hair color is auburn. I am pregnant with twins and had 4 months of grow out. During the pregnancy my hair has become darker and darker. Additionally, I went from working full time to one day per week. I couldn’t justify spending $200 at a salon with our upcoming expenses and needs of our other children. I wasn’t feeling good about the way my hair was looking, it was to the point of embarrassment. I kept the formula on for over an hour and the toner on for about 15 min. I am so happy with the way it came out. Of course I would always love to have a professional do my hair however it was not a reality of our budget at this time. I thank you for the specifics, I would not have had the same results otherwise. I am so glad it worked for you! I really appreciate you taking the time to share how things went. Good luck with the twins! When you do the foil from front to back, how do you see? I just did a dry run and I had a very hard time! Perfectly answered my question thank you so much!! Done! Let me know if you don’t get it. No, I don’t always tone after bleaching. Many of my friends have light enough hair that the bleaching is all they need to achieve the blonde they want. Some only need to use a purple shampoo to tone. You definitely don’t want to tone if you already love the color you have. When I do tone, I follow with a deep conditioner. I also don’t leave the toner on very long, and I try to use the lowest volume developer as possible. Coconut oil is wonderful! Glad to hear that someone else uses it too. Do I need the 7th stage high lightener to do it if I have everything else?I missed it on my list.is it necessary? Yes, it’s one of the key ingredients. Sorry for the inconvenience. Thank you for this tutorial! I’d love to try it but the link to the foiling video isn’t working for me… Which video do you recommend? AWESOME POST. I like the style in which you organize your posts, that is excellent and the exact way I would do it! While reading it, I thought to myself how organized it was and that it’s hard to find someone to write without confusion. I write to you with a question about using the toner only. I was wondering if I could use the toner and developer that you mentioned above on the entire head of hair. – Can i apply it to the whole head? – Should I apply it to the roots first and then the strands after? – If so- what timing have you found works? Thanks in advance, sorry if that confuses you, I hope it doesn’t. I’m glad I found your post because I’ve been trying to google and do my research but I think I’m asking too specifically! I would recommend trying a purple shampoo to tone your hair instead of this toner. It’s much more gentle and can probably do exactly what you want it to. It’s also safe to apply to all of your hair. Thank you so much for posting this!! I just followed your post tutorial today and highlighted my hair! It was my first time so the weaving process was a little tricky for me- but the color was PERFECT (and I didn’t even need the toner, but I bought it just in case!) I will work on the weaving and foiling, but was wondering if you could please send me your video on how you weave/foil your hair for next time. Thank you again for this post! I’m so happy to hear that it worked for you! Sorry it took me so long to reply to your comment. I’m actually working on making a new video that’s way better than the crappy one I sent out before, so I’ll send you that one when it’s done. I just purchased the box that you recommended at sally’s do I follow the instructions with box and when do I add the additional 3rd pack? Yes, follow their instructions. 2 activator packets will work for most anyone. A third can be used if you hair is resistant or a little bit darker (though I only recommend this formula for lighter hair). I would up 7th stage reviews on Sally’s, Amazon, or Makeup Alley, to see what other people suggest that mention having hair similar to yours. Hi i want to highlight/color all of my hair how do u go about getting the all over blonde like yours? Bigger sections? I still weave it every time. 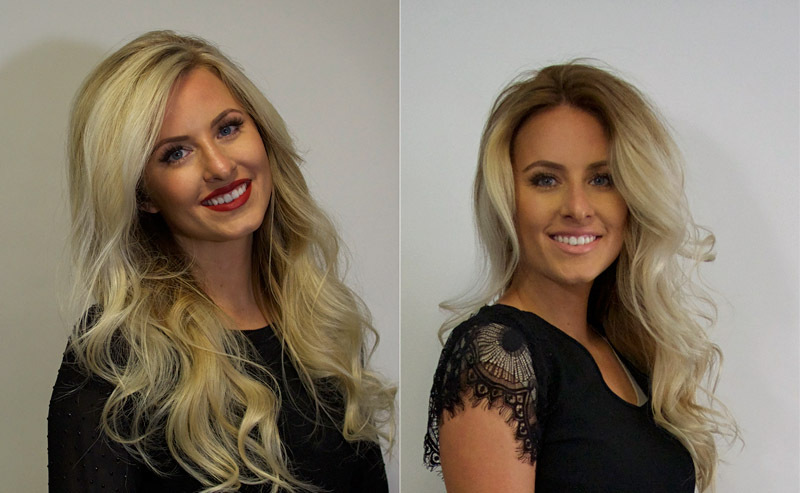 But yes, when you weave, you can decide how much hair in each slice you want to highlight and more hair highlighted will produce a more overall blonde look. The back part of my hair turned out fine, but the front is super orangey/yellow. I toned using a 10, should I retry toning it with a 20 developer? I’m so sorry it didn’t work out evenly. I would be really cautious about toning it again. There are a ton of different factors that could play into this like how long it was left on, what previous coloring your hair had and etc. It would probably be best to see a professional, or at least give it some time off and some good conditioning before doing anything else. I know Fudge Violet Shampoo is crazy strong as far as toning, but not bad for hair as an official toner, you may want to give it a try, I have never used it, just heard rave reviews about it. Here’s a link to it on Amazon. I have never used it, so it’s hard to say. I recommend reading reviews for it online. Thanks! I actually called to another store and they had it so I went in for an exchange. Going to try this out tonight! HI! I love this method and I really want to try it! But I have never ever dyed my hair so I a little bit afraid to mess it up. I have always had blonde hair but when it started to turn darker I started using Sun-in spray to get natural highlights. The problem I have with it is that it’s very tedious and mostly covers the top layers but I wanted to highlight the top half of my hair so I don’t have to worry about having a weird part with different/darker shades of blonde. Right now my hair looks like natural highlights although people tell me it looks like I dye it. It kind of has a huge range of colors from very blonde to almost light brown all mixed together lighter ones being towards the top and darker ones being on the bottom. Please let me know if you know anyone else that’s used sun in and then this and if you have any tips for me. Like I said I have NEVER dyed my hair with any dyes so I barely know how all of this works. sorry I forgot to ask: how often do you have to retouch this? Just as needed. About every 3-4 months. Hi! I don’t know much about Sun-in, but I do know that the sun can cause a lot of damage to hair, so you will want to be very careful if you proceed with this. If you are worried about it, I would recommend just going to a professional at a good salon so there’s no chance of it getting messed up. hi! I may have missed this, but I’m trying to tone highlights I did last night. When mixing the toner, am I just to use the wella T18 and 20 vol developer? Also, when you say “part” developer to one part T18, what does that mean? The whole bottle of wella to how much measured out developer? Sorry for the massive number of questions! Thanks for the post, Kara! Two quick questions – First, how would you recommend using this technique on hair that has been previous lightened with balayage rather than just highlights? Second how do you time it so the first foils near the front of your face don’t over process by the time you’re done foiling the rest? Thanks! 1. I’m slowly transitioning my own hair to more of a balayage. I just pull out small sections where I want them, and touch up the roots in those spots. I wrap them with saran-wrap. I don’t weave or foil. I recommend watching some balayage videos on youtube to kind of get an idea of what I’m saying. You may want a friend to help. 2. It processes pretty slow since it’s only 20 volume, and since I usually only highlight a mohawk section on the top, I haven’t had a huge issue with this. My sister, however, has crazy thick hair. So I split it in half, and rinse out the first half while the other is continuing to process. I just use a sink and a faucet hose to carefully rinse exactly where I want to. I really like your friends hair, the second pictur because her hair is the darker blonde like mine. What kind of activator did you use? What was the name of it? I don’t want something too bleach right now. Does that clairol kit come in a different color? After reading through this. Let me change my question lol, so will the clairol professional kit make my hair too light or will it give it that highlight look like your friends hair in the second picture? Maybe I should just use one activator? Also if I’m not going for the bleach blonde look, do I even have to use a toner? Just use a deep conditioner afterward, should I be good? It really depends on your current hair. The 7th stage pulls most people’s hair really light. My friend is a dark blonde, and we used 2 activators (I think) and no toner to get her results. It’s hard to know what you mean by “too light” since it’s a bit subjective. I would go to a professional if you’re really worried about it, or at least try a strand test first. Sorry I can’t be of more help. Question… I am going to attempt this process this week – wish me luck – and have already bought all of the necessary supplies. I will be doing a partial hilite, and was wondering, when it come to toning do I put the toner all over my hair or do I just try to pick out the pieces I hilited and tone those. Thanks! Good luck! I usually aim to apply it just where I’ve highlighted as it can be very drying. You might not even need to tone at all depending on how well your hair lifts and your personal preferences. Thanks so much for sharing this! I’m going to attempt to try it next weekend. If I have previously highlighted hair done in a salon, do I just need to do a root touchup using this method OR do I need to go over all the blonde that is already there in addition to touching up the root? Definitely don’t go over the already highlighted hair. As you weave, focus on weaving out the hair that wasn’t highlighted last time so you only highlight the roots of the highlighted hair. Put the product on the roots until it just meets the already highlighted part. Hope that helps! HI! Is there a large difference between the activator in the Clairol kit, and the activator listed in your blog? I went to Sally’s and they do not sell the activator labeled “instant whip/born blue” in stores. I’m pretty sure it’s the same activator. It’s used with 4 different Clairol items, so it lists each on the kind you can buy separately. But the one included with the kit only lists 7th Stage since it’s a 7th Stage kit. Love this tutorial and your blog! I have been doing your highlights for about two years. I feel like my hair is overly highlighted now. I want to stay blonde but need a little dimension. Any suggestions? Thank you!! Yes! I’m in the car right now (husband is driving) so I’ll respond more later, or maybe email you directly. But I felt the same way so I followed a tutorial to give me some subtle roots and I love it. Check out ellebangs YouTube channel and search for balayage. So I followed this tutorial https://www.youtube.com/watch?v=LTth0ZovY1c and it worked perfectly to give me more of a rooty/softer blonde. I’ve done this method twice now and it’s worked out beautifully. The most important part is selecting the right color since you are putting color on previously lightened hair. She recommends a 6G or 8G. The “G” stands for a “golden” or warm base. The color scale ranges from 1 (black) to 10 (white blonde). I used a 7G the first time and it was great. I recently had gone allover platinum, I liked it, but it didn’t look super natural and my husband was not a fan, so I added some dark roots. I wanted to see how other bases would work out, so I tested a violet base, an ash base, and a neutral base on some hair extensions. The violet base turned the platinum hair slightly purple, the ash base turned it green, and the neutral base turned it a wonderful shade of dark blonde (it did have some warmth to it though, almost like a strawberry blonde). The color I went with was Ion Color Brilliance 8NN-8.00 LIght Intense Blonde. Here’s my before and after: I think if you go with a golden base or a neutral base, you should be good to go. Remember when using Ion though that the resulting color is almost always a shade or two darker than what’s depicted.